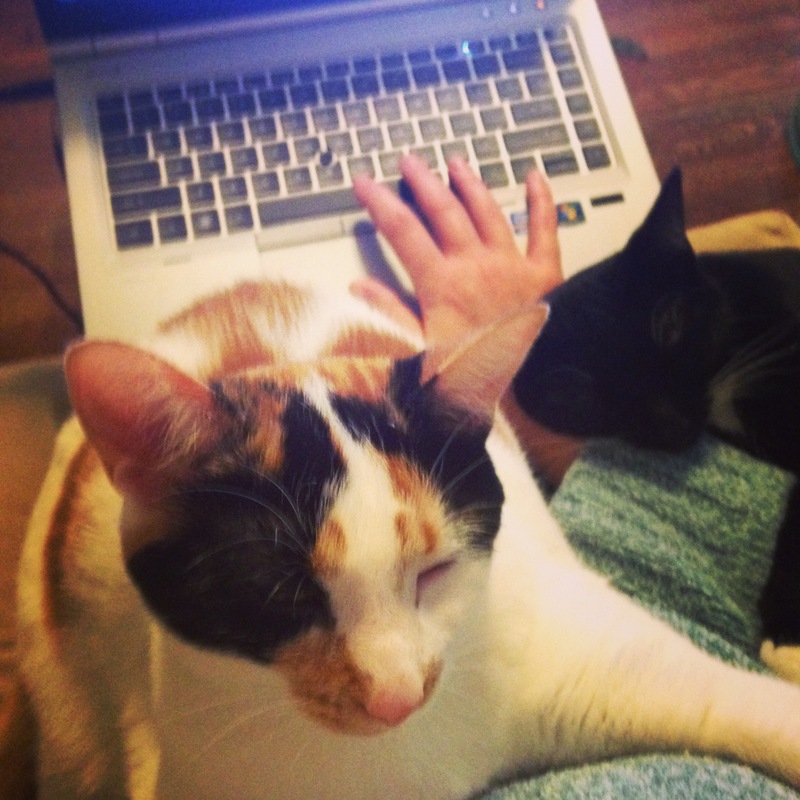 Is this why I can’t get any writing done? November is, as anyone with writerly aspirations knows, National Novel Writing Month — better known as NaNoWriMo — a 30-day marathon intended to end with a 50,000-word first draft of a novel. It’s a humongous task, but one I’ve considered participating in over the years. I’ve always talked myself out of it, however, mostly because I could never think of an idea that seemed good enough to warrant that level of effort. I have always been more of a personal essay type of writer, as this blog (back when I was writing regularly, anyway) demonstrates, and I find fiction rather daunting. This year is a bit different. I do have an idea knocking around in my head, or the beginnings of one anyway. It doesn’t feel ready yet, though. And to be honest, I don’t feel ready either. I’ve long since fallen off the daily writing habit, not just here, but in private as well, and that is absolutely essential not only to succeeding at NaNoWriMo, but to writing in general. Unlike past times when I’ve done post-a-day projects (like the run-up to the holidays last December, or the entirety of 2012), my goal is to write something every day, not just post a photo and call it done. I may end up talking more about my work, or books that I’m reading, or riffing on prompts offered by WordPress and BlogHer… but there will be words. Offline, I’ll be thinking more about this story idea I have, figuring out what a plot and characters might look like, and starting to get that written down, too. It won’t be 50k words by November 30th, but maybe it’ll be an outline. Or some character descriptions. Or some scraps I can stitch together into, if not a complete novel, maybe something worth reading. Always enjoy your posts. Write on!